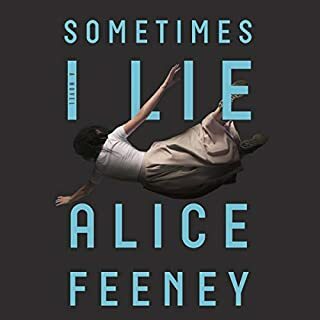 Just like the title of my review says, another fantastically dark tale from Gillian Flynn, albeit a lighter one as far as her stories go. 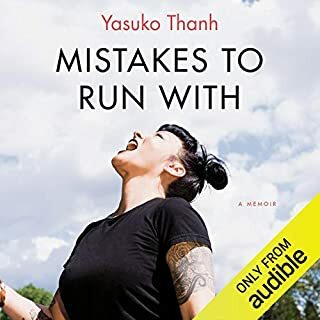 The performances in this book I found to be superb, particularly for the two female narrators. I felt like they so perfectly encapsulated the characters they portrayed. Overall a riveting read from beginning to end, couldn’t recommend it enough. This is the second book I’ve read of Gillian Flynn. First was sharp objects. Which I also thought was pretty dark. But dark places is far more dark. Found it difficult to get through the last hour or so of the book just because I was having trouble stomaching it. Just not my preference I guess. Book is well written. Performance was great. I just found it tough to finish it. I had a hard time putting Dark Places down. I bought this book because it sounded interesting and I needed something to listen to while I painted my house. I ended up getting hooked and needing to know what happened next. Needless to say I had to find other things to entertain me while painting because I finished the audiobook well in advanced. I hadn't even heard of this book but since I enjoyed Gone Girl so much, I thought I'd check it out. The story was gripping and I don't remember a dull moment. The way she told the story with the present day characters and the flashing back was done in a way which was easy to comprehend even for a guy like me! Unexpected endings are my favorite. This book had me hooked right from the start with interesting characters and situations. This story keeps you wanting more, wondering how it will end. 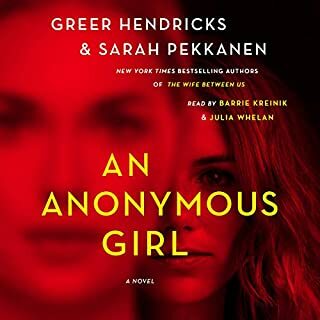 I definitely recommend this to anyone who enjoys a good mystery. You can't go wrong with a Gillian Flynn novel. I couldn't stop listening. Great story and fantastic narration. I had trouble turning it off to get some sleep and woke up thinking about it. This story will be in my head for a while. Narrator was great. Very good at making different voices for different characters. Super well written. Would recommend if you want a good, mysterious read. Really a great storyline. Not as dark (at least to me) as others have posted. 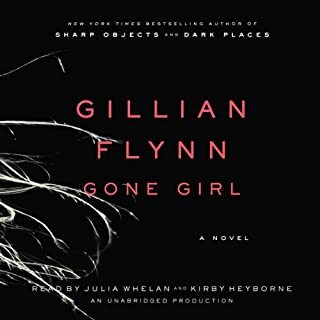 Gillian Flynn is an amazing writer! Great job on the audio version. Kept me really engaged and kept me coming back for more! Dark Places is a fascinating story but not a fun read. The book takes pity on no one, least of all it's readers. This truly is the stuff of nightmares, one sadistic chapter bleeding over into the next. Although a work of fiction, Ms. Flynn's unflinching wordsmanship embues it with the realism of a true-crime whodunit. The saving grace, for me at least, was that I could repeat the mantra, "It's only make-believe" when the scenes became a little too intense for my sensitive nature. Although I covet Ms. Flynn's talent, I wouldn't take it at any price if it meant having to live in her head (ditto Stephen King). Dark Places is not just an aptly-named novel, but probably an apt description of the author's warped imaginings. If I knew then what I know now, I would have stopped at "Gone Girl" and skipped this one entirely. And yet, as incongruous as it seems, I wholeheartedly recommend "Dark Places", just as I recommended "Gone Girl". The reason is simple: Despite the fact that they were dark and foreboding, that certain scenes will likely haunt me for a very long time, and that I can honestly say that I don't miss the characters (no, not a single one! ), I am forced to admit that I thought they were riveting from start to finish. So, while I didn't like this book, I did love it. And now, I'm going to run, not walk, to my bookshelf and find my copy of "Little Women" or "Rebecca of Sunnybrook Farm" and try to subdue some of the ghosts from "Dark Places". I did not particularly enjoy this book. 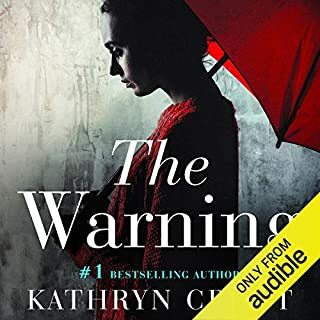 The narration was excellent, but the book was pretty gruesome, and I didn't really latch on the caring who killed the family. The whole book I just wanted it to end. 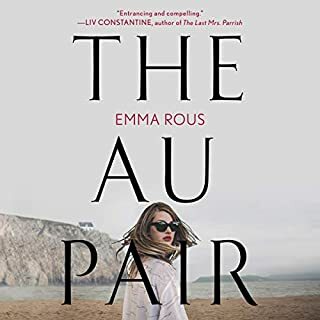 I give it three stars for the narration and the authors ability to tie the story together with segments from many different perspectives. I enjoyed listening to "Dark Places" very much but found the ending disappointing. Flynn seems to test the limits of "no way that could happen" a bit too much in this novel. Too many coincidences. Flynn also delves a little too deep into grotesque description at points while ignoring more elaborate description at other points. I found just about every character incredibly unlikeable (more below). Lastly, the narrator who narrated Libby Day was a spot on choice for the voice of Libby. She used this desperate, beaten down defeated tone that really matched the character. Beyond that, her range was very limited. Several of the characters had the same voice including Diane, Lyle and Ben. If a character spoke without an introduction like "Diane said" sometimes I thought it was Ben speaking. I think she could be a very good narrator if she broadened her range. The premise of two murders happening about 45 minutes apart for two completely separate reasons took too much suspension of disbelief. the novel builds and builds to a who "dunnit" conclusion and it seems like Flynn took the easy way out. Additionally, one of the most unlikeable characters was the mother. Sure, Runner and all were awful people but the mother was an absolute failure as a parent and mother and the "out" she takes in the end was ridiculous. Flynn should have given her a history of suicidal tendencies or some background to suddenly account for the "mom planned her death" as a conclusion. Also, the description of the assault on the cow as unnecessarily grotesque and prolonged. 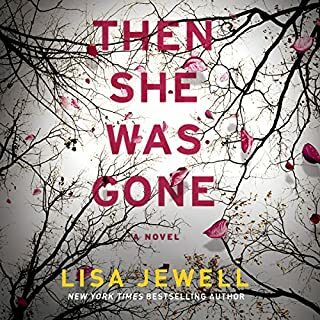 At the same time, when Lyle picks up Libby at the gas station near the end and wants to take her to the police, Libby "said some awful things." It's like Flynn got near the end of the book and figured, I have to wrap this up. Here was a chance for Libby to expose her flawed, judgmental attitude and Flynn took a pass. Anyway, I did enjoy the book despite then bizarre ending. Harsh review but based upon Flynn's other work, I have to downgrade this one. 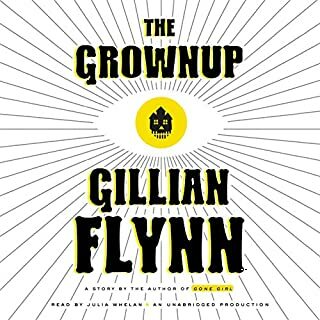 Gillian Flynn writes books that hook the reader quickly, but always leave this reader feeling a little bit "less" after reading. It certainly was a dark story about broken people. At least a little tiny bit of hope lingers at the end. If you loved Gone Girl, chances are you looked for her other titles, as did I. Don't expect the same layered mythology and larger than life characters. But, do look forward to an exciting thriller working backward from present day Libby, the lone survivor of a family massacre. Her brother's backstory is the most interesting. He is currently behind bars for the murders, and pleads innocence. 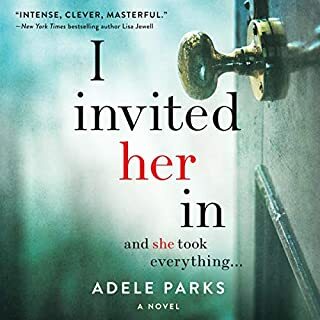 Dark, engaging, and well read by the female narrators. I didn't care for the male narrator, but it didn't detract from the overall performance. 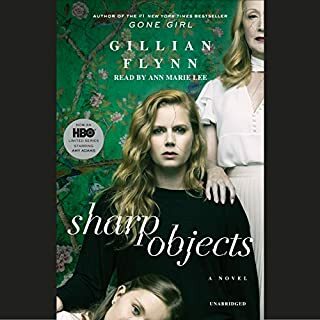 Gillian Flynn is one of those rare authors who learns and improves with each novel. Gone Girl was amazing, and Dark Places a solid read. Can't wait to see what she churns out next. Having just finished the author’s newest work (Girl Gone) I decided to give one of her other novels a try. What I found was a heart wrenching story of a troubled family so nuanced, so real, I’m having a hard time letting go. 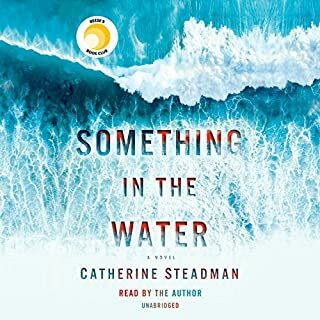 There are three main voices to the narrative; Libby, in the story’s present day of 2009, narrates her struggle to feel safe and stable in the world (both financially and emotionally) as she re-opens the questions surrounding the night her family was killed. 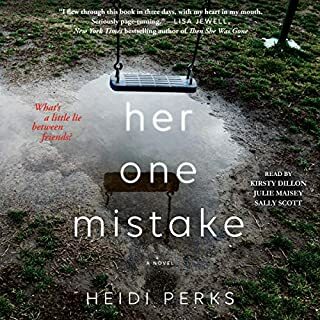 In alternate chapters, her mother Patty and her brother Ben take us back to that horrible day in the winter of 1985 that started out badly, and ended so much worse. These flashbacks are time stamped; starting in the morning, and slowly, surely, working their way to that night, and to the truth that’s been hidden for so long. This is a story of hurt, damaged people told with gritty nuance and no sympathy for the cringing reader. 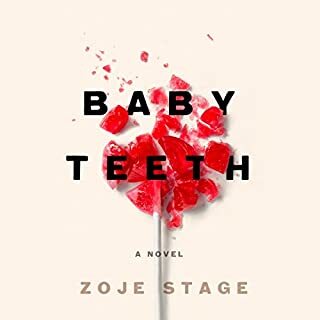 No punches are pulled as the author proceeds to create a stark, uncomfortable, and painful world that engulfs you completely. Listening to this story won’t be “entertaining”, but it will be memorable. Be aware that this book contains a lot of explicit material of all sorts; language, violence, and sexual content. 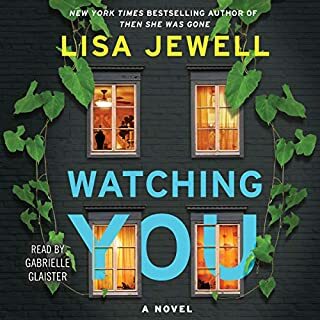 The narrators are superb (although I wish a younger sounding narrator had been chosen to represent Ben) and Libby’s voice will continue to play in your head long after you’ve stopped listening. It’s only June, but I may have found my top novel of the year. First off let me address the narration, its as good as anything you'll find on the site. Next, this is a dark tale (as the name suggests--don't know why some were surprised to realize this). But dark does not mean it was a bad read. This is a poignant tale of flawed characters, with worries and concerns and heartache we can all relate to. The real gem here is Ms. Gillian. The writing is so good and the plot so cleverly crafted--I am very impressed. To write these characters faced with this situation and to get so pointedly into their heads of different ages and different genders, if you're not impressed, sit down and try it yourself sometime. 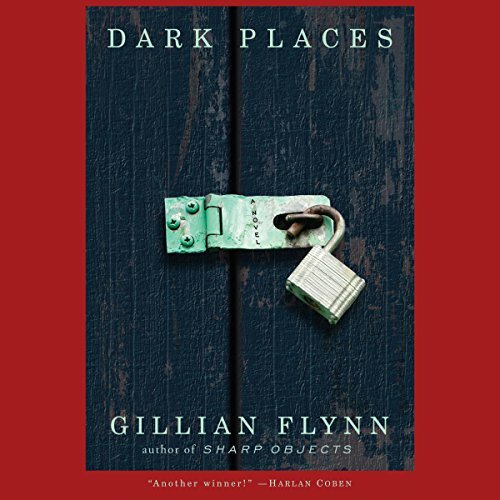 DARK PLACES by Gillian Flynn lived up to it's title, but not in the way I first expected. This is not so much a story about devil worship as it is about poverty and where it can lead under the worst circumstances. I love the protagonist, Libby Day, she is outside the box of conventional main characters. 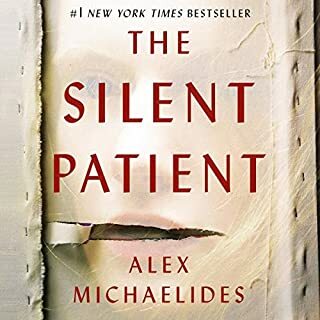 Short, plain looking, and without much of a will to do anything, she listlessly cashes checks from a fund created for her after the murder of her family. And she is mean, without apology. It is through her history that you become sympathetic, you get the feeling she never really had a chance. Even if her mother and sisters were not murdered, her brother in prison for committing the crime, you get the idea her life would have been one filled with sorrow and desperation. The Day family are poor, their clothes aren't new, the son is a janitor at his own high school. 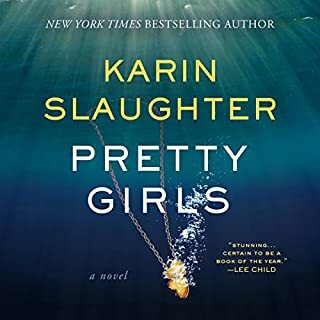 Things are okay for the girls in grade school, but the pressures of high school under such circumstances, along with a penchant for bad luck, quickly put the family on the path to total destruction. Along with this great social commentary is a pretty strong mystery. If the book was strong throughout, the ending cinched my feelings that this is a book to be had! You won't mind the Monday morning drive to work. The story is addictive. All of the characters are multi-layered, even the minor characters, and defy stereotypes. There is true menace throughout, coming from many directions. This is mystery writing on a level that never insults the reader's/listener's intelligence. The desperation of the adults is palpable. The pain and humiliation of the children is heart-wrenching. There is an honesty here about how people really feel, about how people really live their lives, that is too often missing. And I liked the main character. I wouldn't want her as a roommate. But her brutal honesty, and wit, were compelling. The narrators did the writing justice. I had it figured out, I didn't have it figured out. Then I sort of had it. Then it twisted again. This was a great story and the writer is really good. 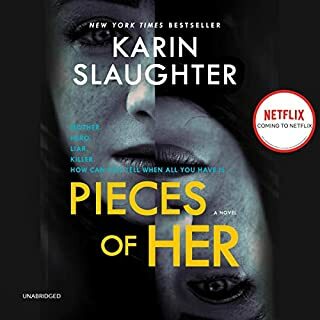 I would recommend this to anyone who loves mystery/thrillers. More please!